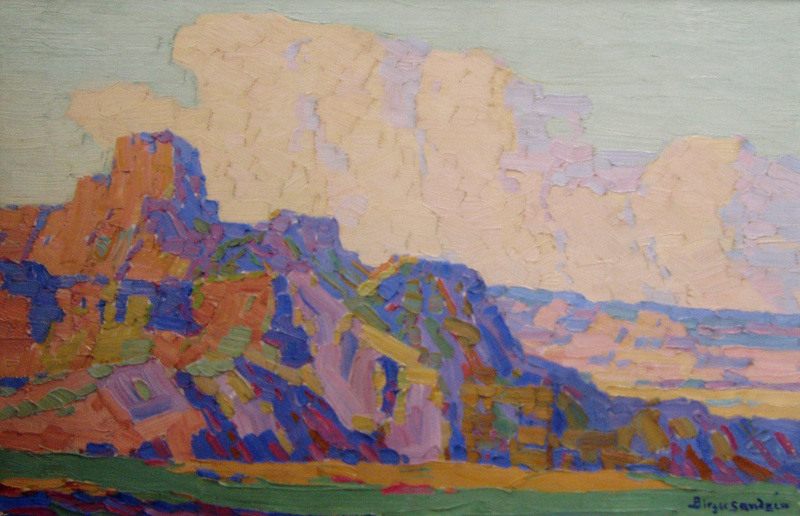 Rocks and Light, 1910, oil on canvas, 18 x 26 inches, Greenough Collection, BSMG. 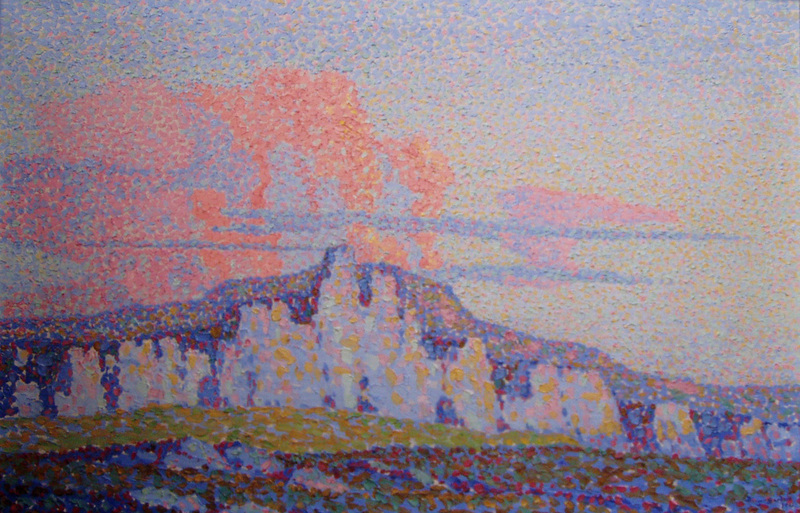 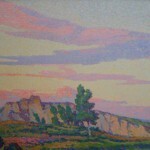 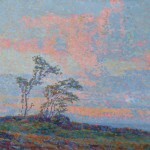 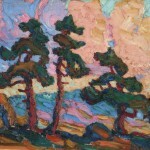 Sunset, 1910, oil on canvas, 18 x 24 inches, Sandzén Gallery. 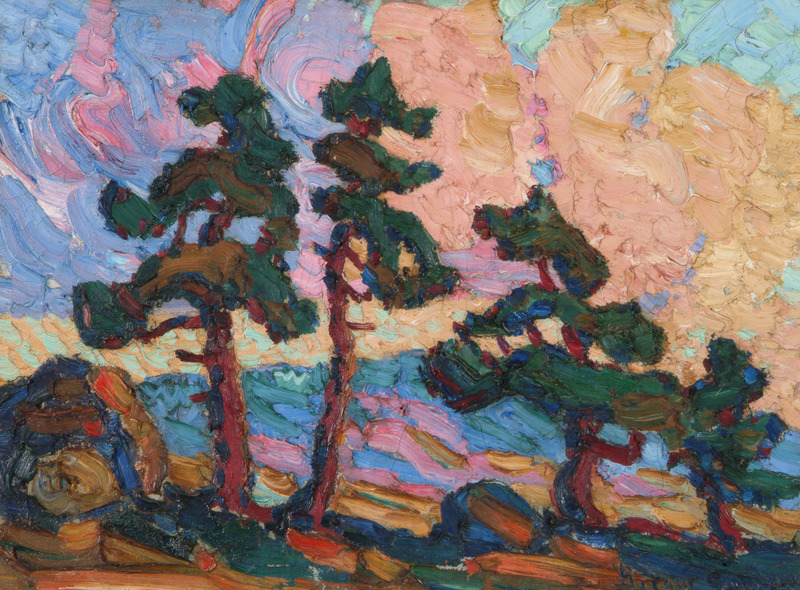 Evening Clouds, 1911, oil on canvas, 24 x 36 inches, Sandzén Gallery. 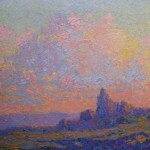 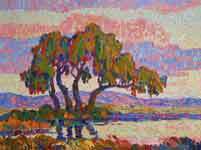 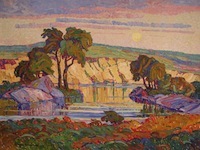 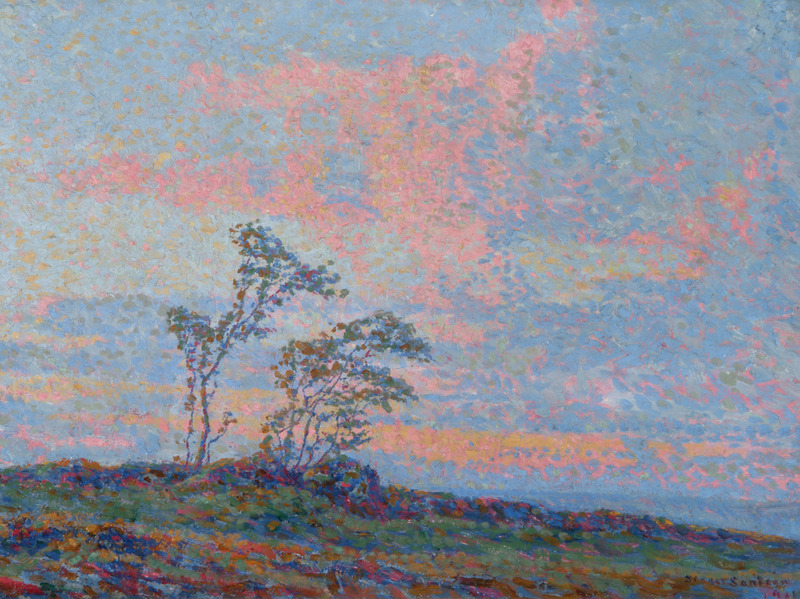 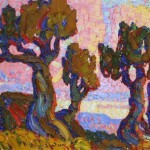 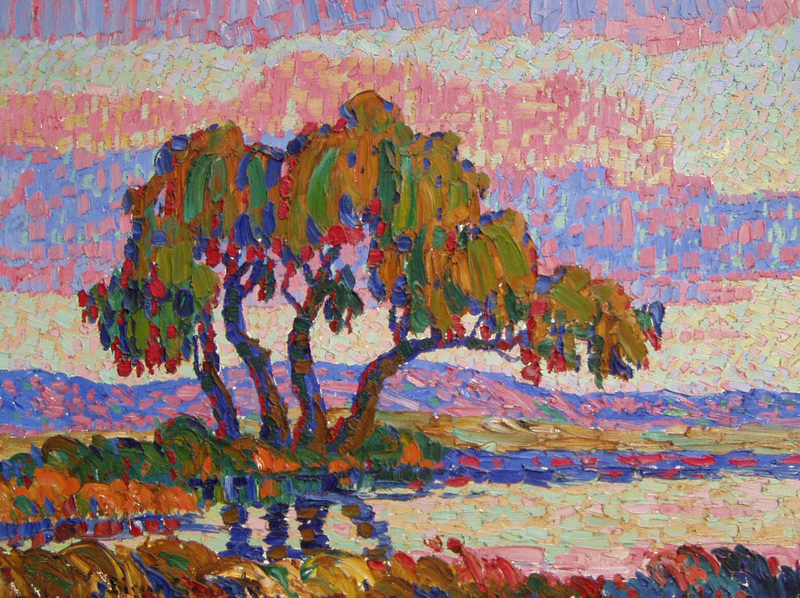 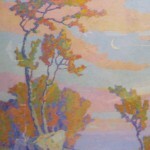 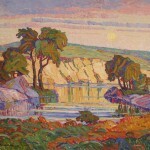 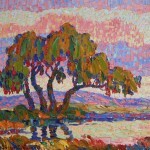 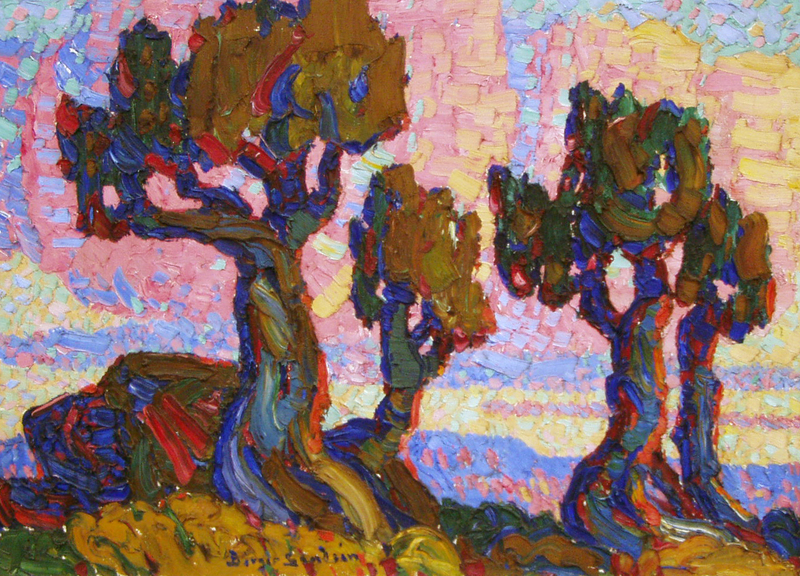 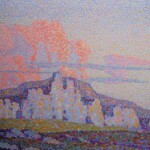 Sunset, 1911, oil on canvas, 18 x 24 inches, Gift of Gertrude Henmon. 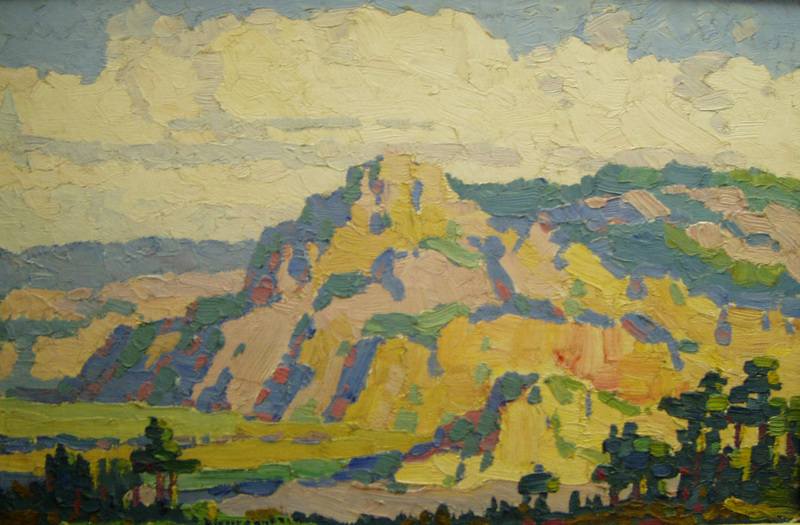 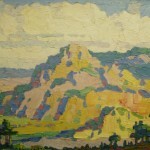 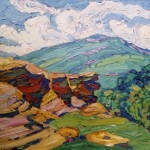 Coronado Heights, 1912, oil on canvas, 12 x 16 inches, Sandzén Gallery. 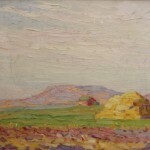 Untitled Landscape, 1912, oil on canvas, 16 x 24 inches, Sandzén Gallery. 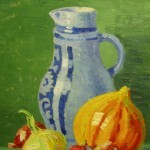 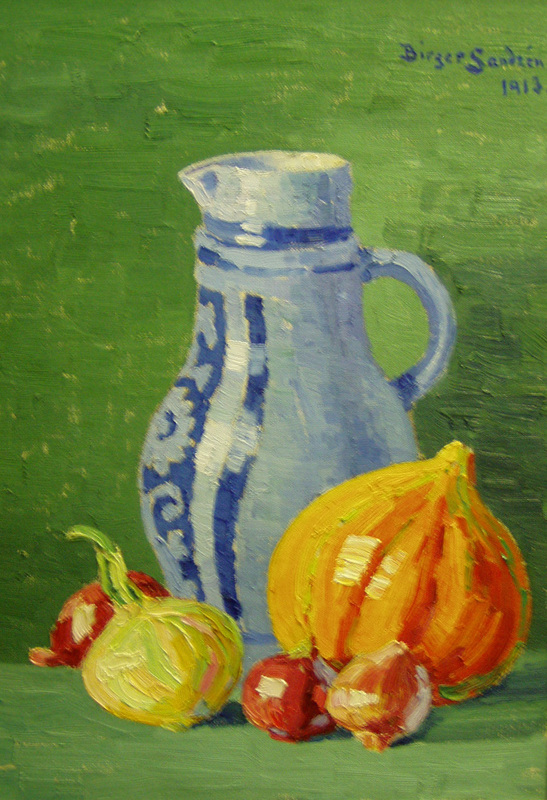 Still Life Pitcher Fruit, 1913, oil on canvas, 20 x 14 inches, Greenough Collection, BSMG. 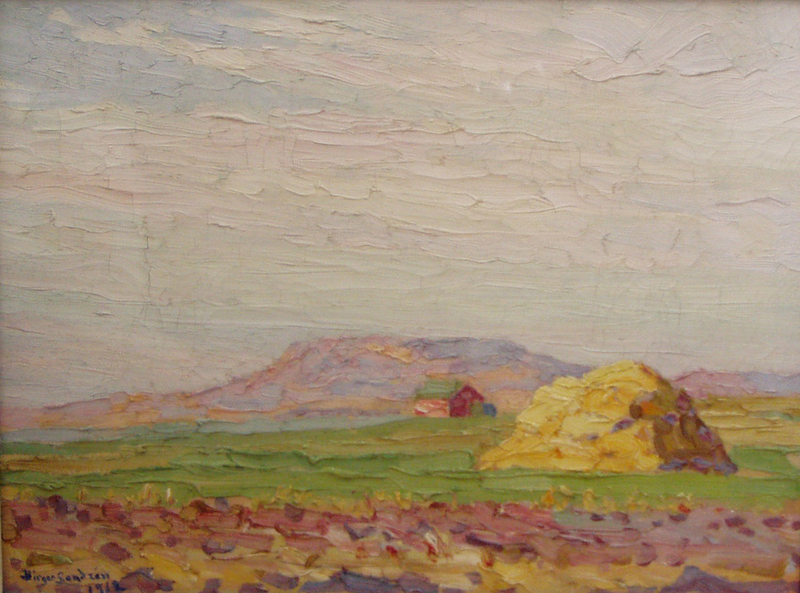 Fall Evening, Kansas, 1915, oil on canvas, 24 x 16 inches, Greenough Collection, BSMG. 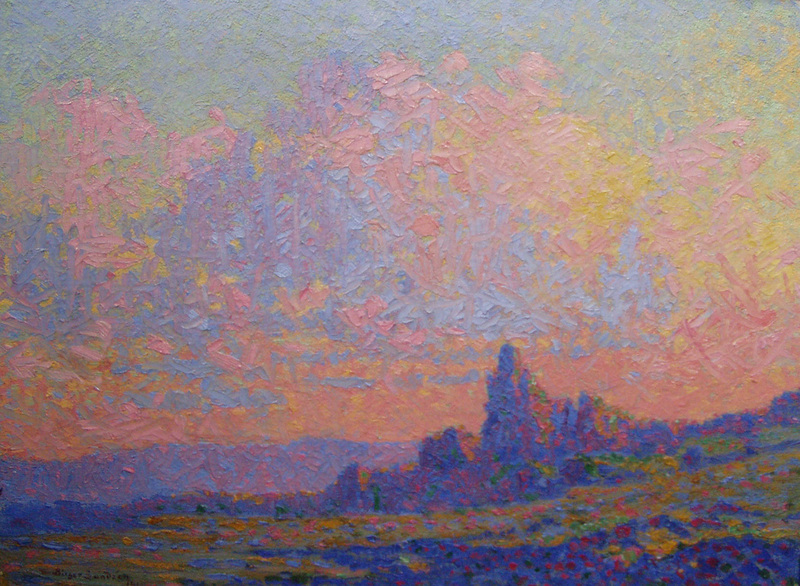 Morning Light on the Painted Desert, 1915, oil on canvas, 16 x 24 inches, Sandzén Gallery. 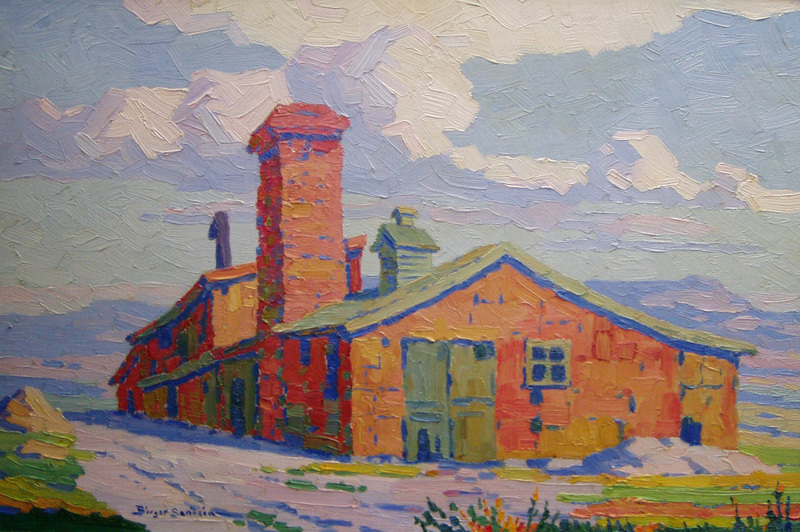 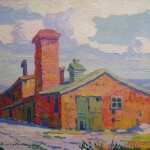 The Old Mill, Colorado, 1915, oil on canvas, 16 x 24 inches, Sandzén Gallery. 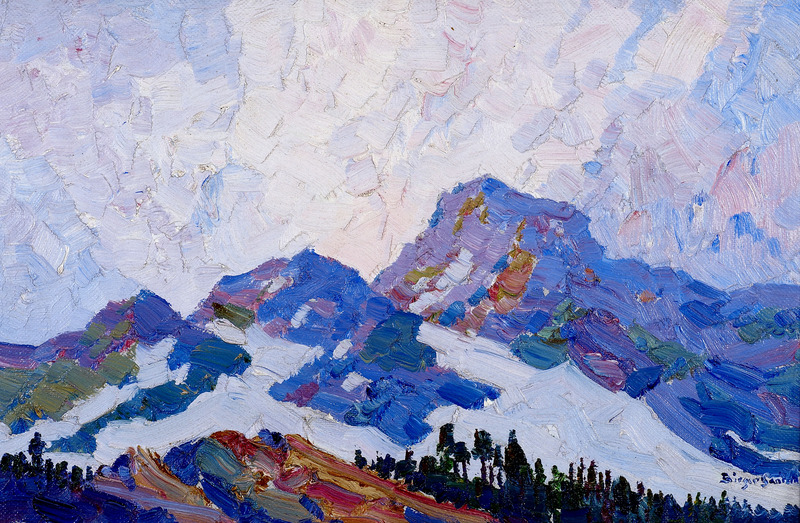 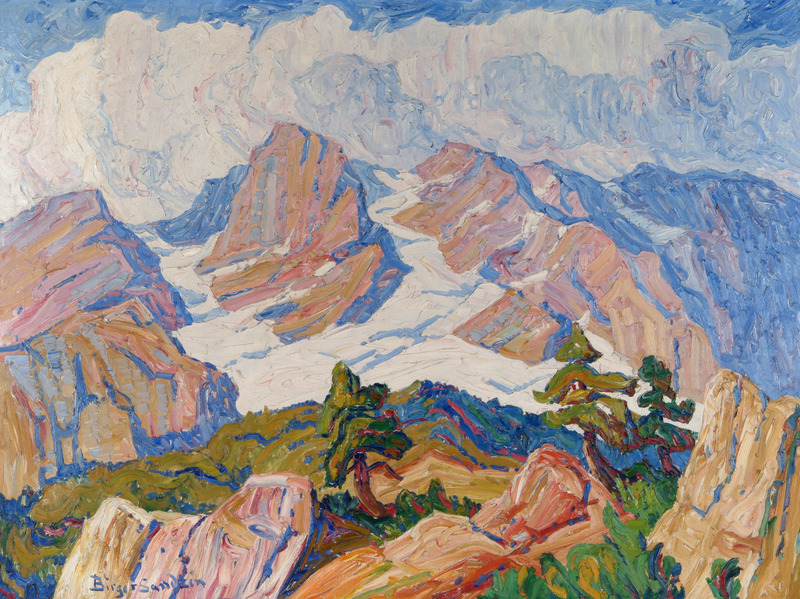 Gray Day in the Mountains, 1916, oil on canvas, 12 x 18.5 inches, Sandzén Gallery. 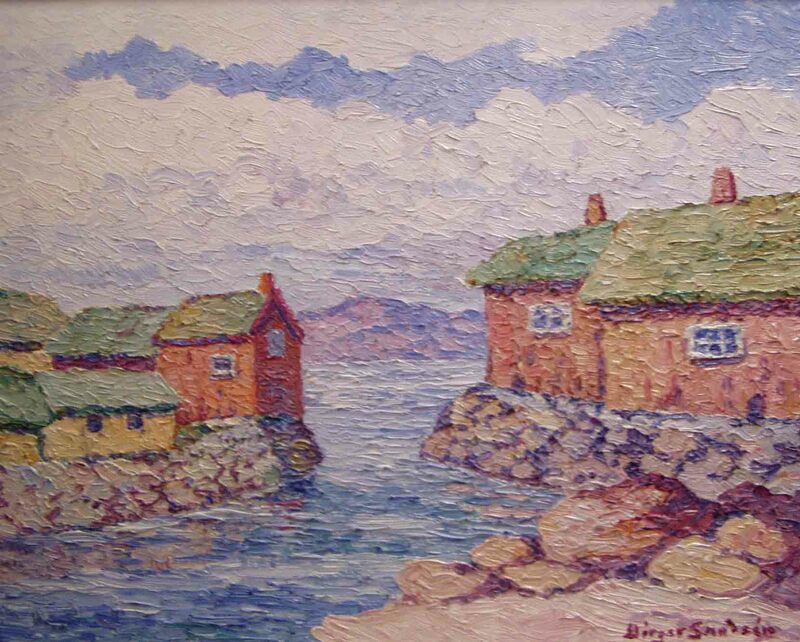 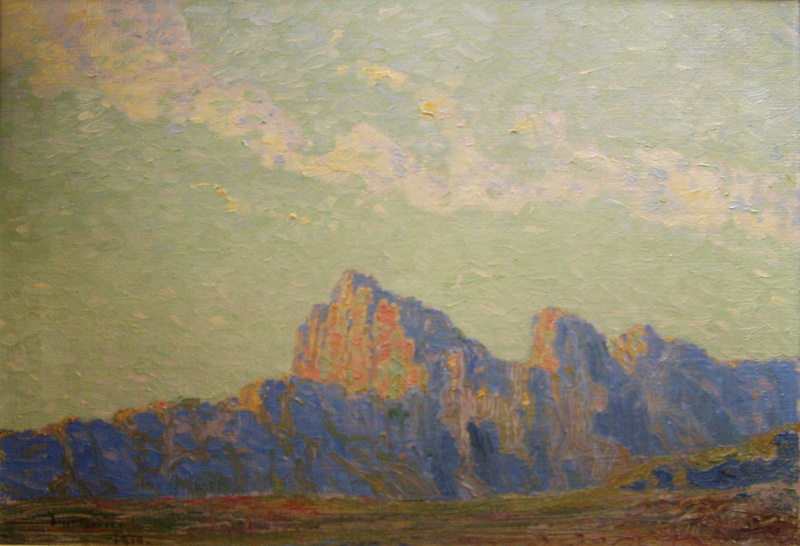 The Granite Fortress, 1916, oil on board, 12 x 18 inches, Greenough Collection, BSMG. 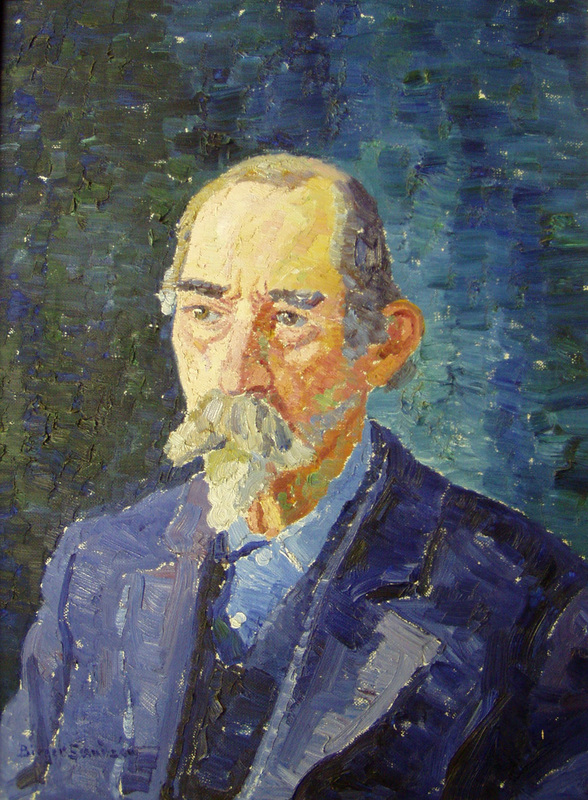 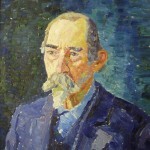 A Veteran Portrait Study of Noah Weddle, 1917, oil on canvas, 24 x 18 inches, Sandzén Gallery. 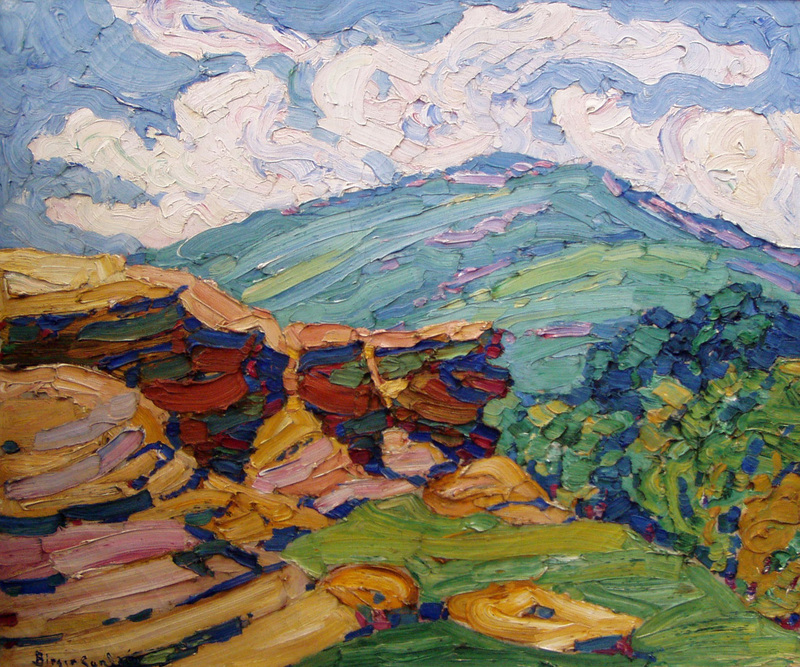 In Clear Creek Canyon, 1917, oil on canvas, 30 x 36 inches, Sandzén Gallery. 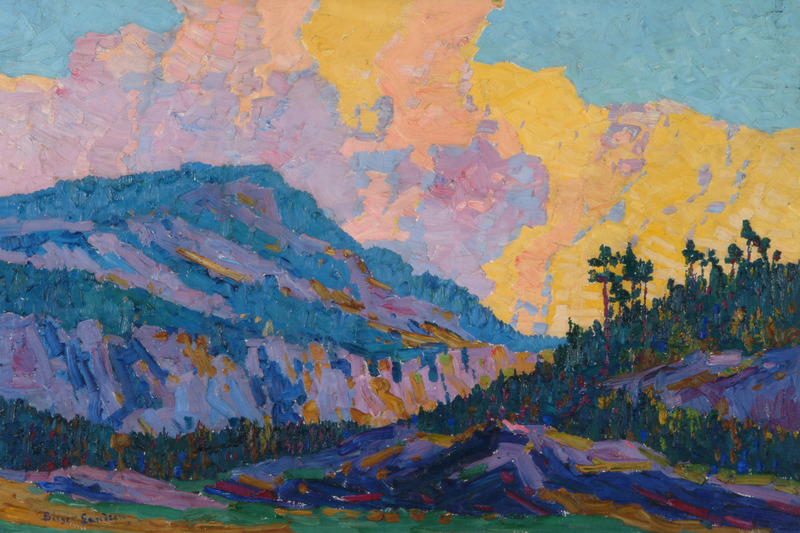 Sunset in the Mountains, 1917, oil on canvas, 32 x 48 inches, Greenough Collection, BSMG. 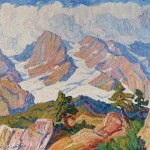 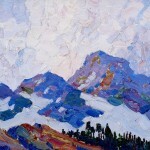 Snow and Mountain, 1920, oil on canvas, 60 x 80 inches, Thorsen Collection, BSMG. 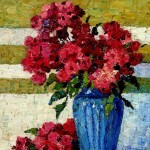 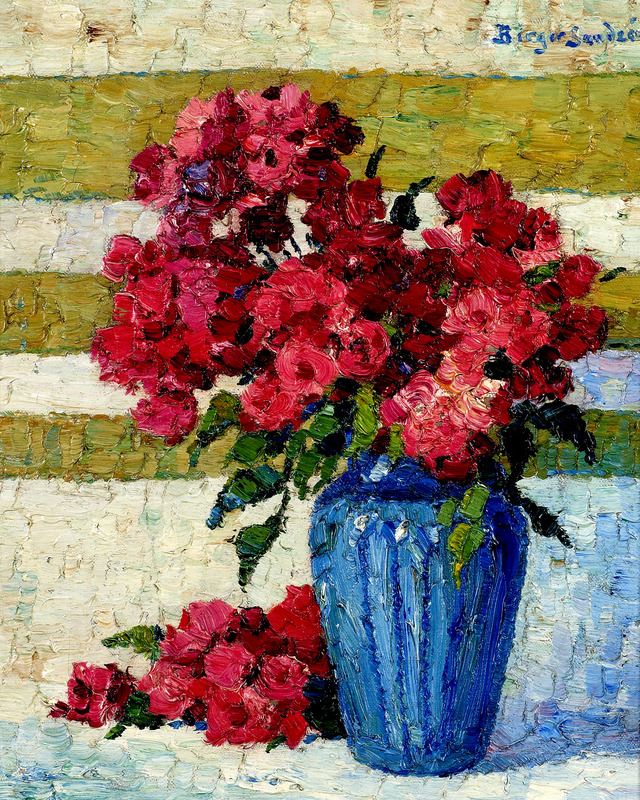 Still Life Vase with Roses, 1920, oil on canvas, 16 x 13 inches, Sandzén Gallery. 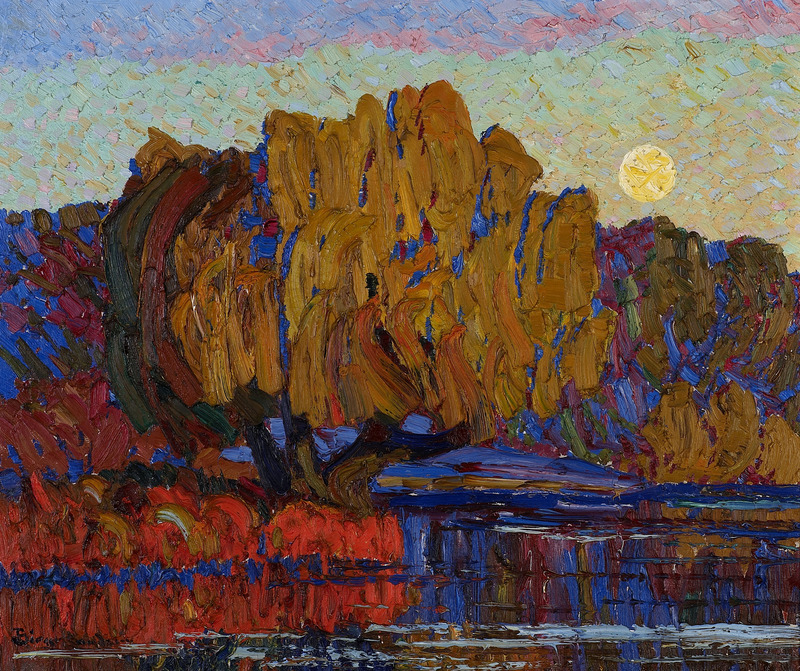 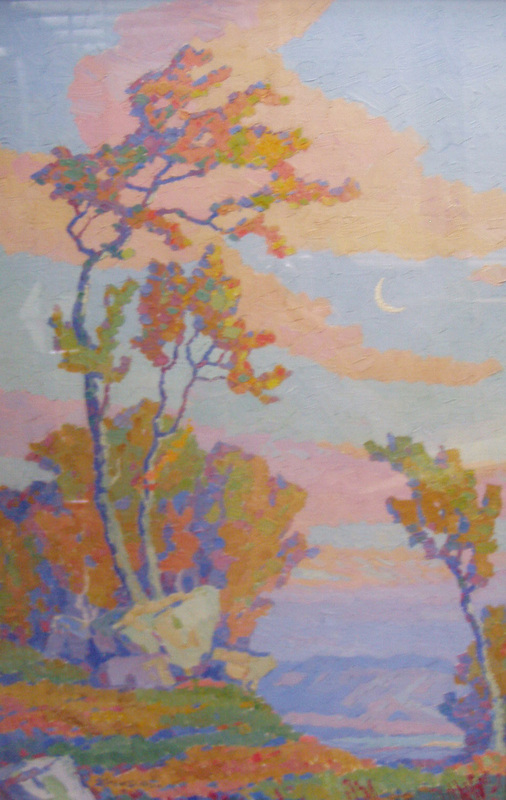 Creek at Moonrise, 1921, oil on canvas, 60 x 80 inches, Greenough Collection, BSMG. 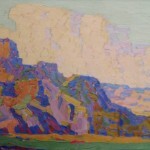 Smoky River, 1921, oil on canvas, 22 x 26 inches, Sandzén Gallery. 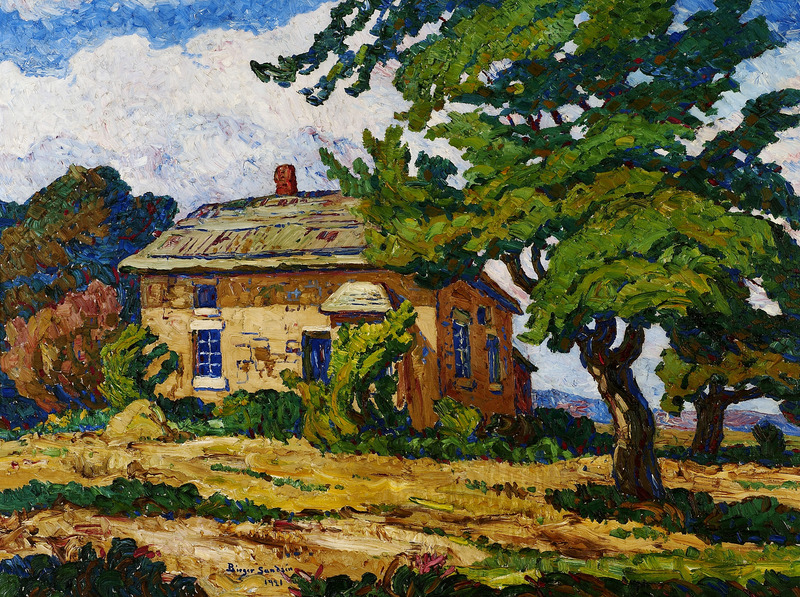 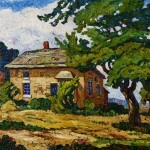 The Old Homestead, 1921, oil on canvas, 36 x 46 inches, Sandzén Gallery. 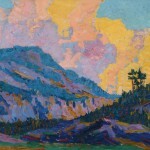 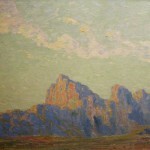 Sunset, Estes Park, 1921, oil on canvas, 36 x 48 inches, Sandzén Gallery. 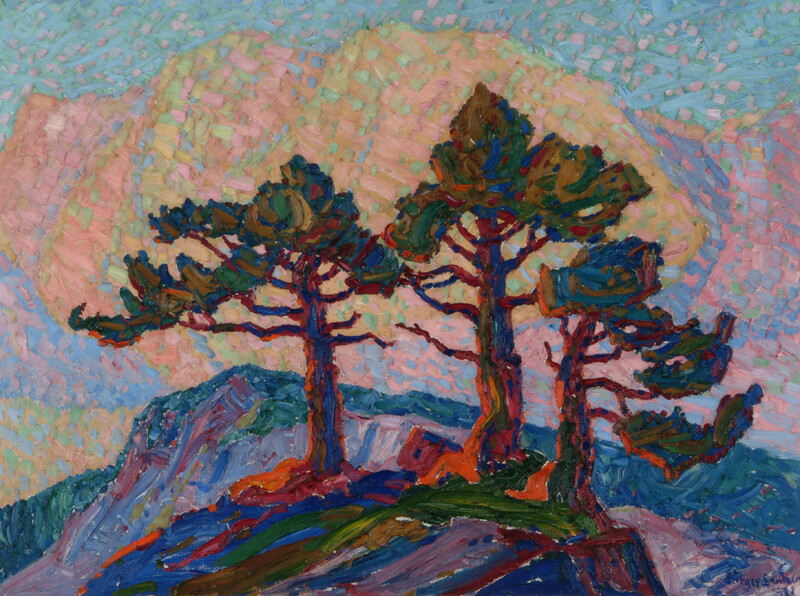 Ceders in the Foothills, 1922, oil on canvas, 24 x 36 inches, Greenough Collection, BSMG. 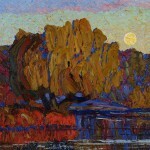 Twilight, Berquist Pond, 1922, oil on canvas, 36 x 48 inches, Greenough Collection, BSMG. 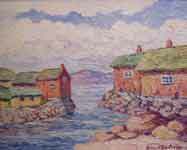 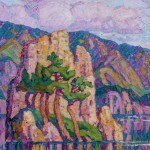 The Island, 1923, oil on canvas, 48 x 36 inches, Thorsen Collection, BSMG. 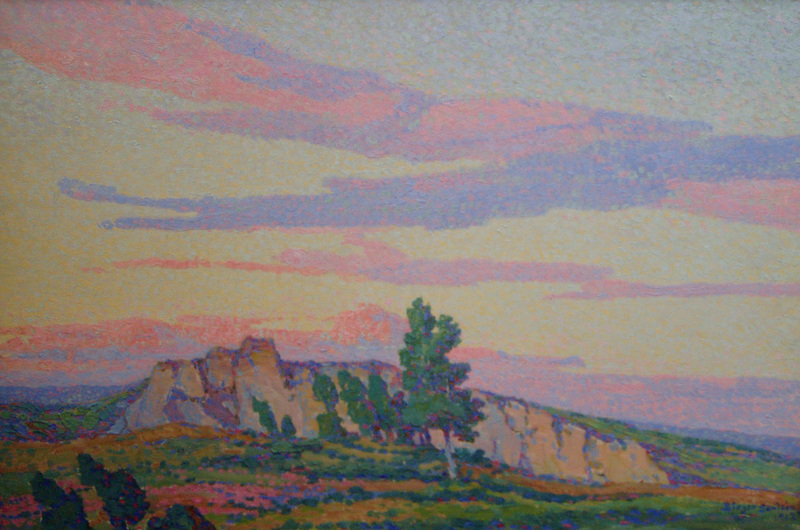 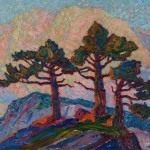 Sunset in the Mountains, 1923, oil on canvas, 18 x 24 inches, Sandzén Gallery. 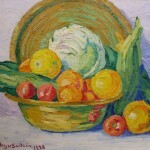 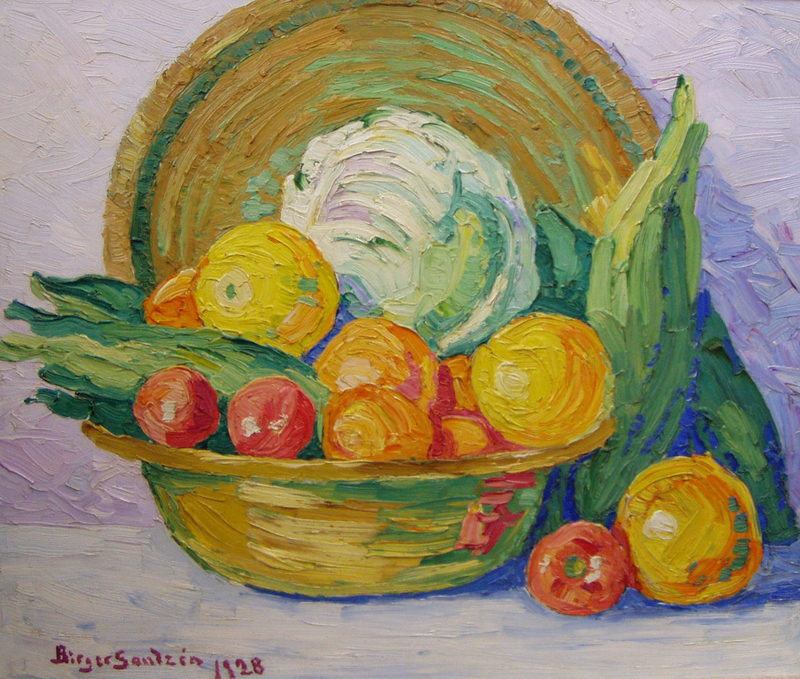 Still Life, 1928, oil on board, 20 x 24 inches, Sandzén Gallery. 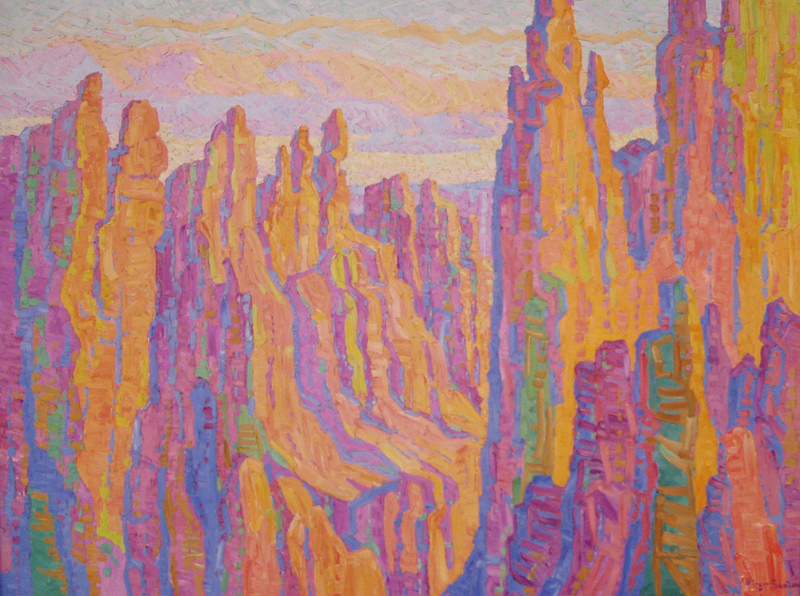 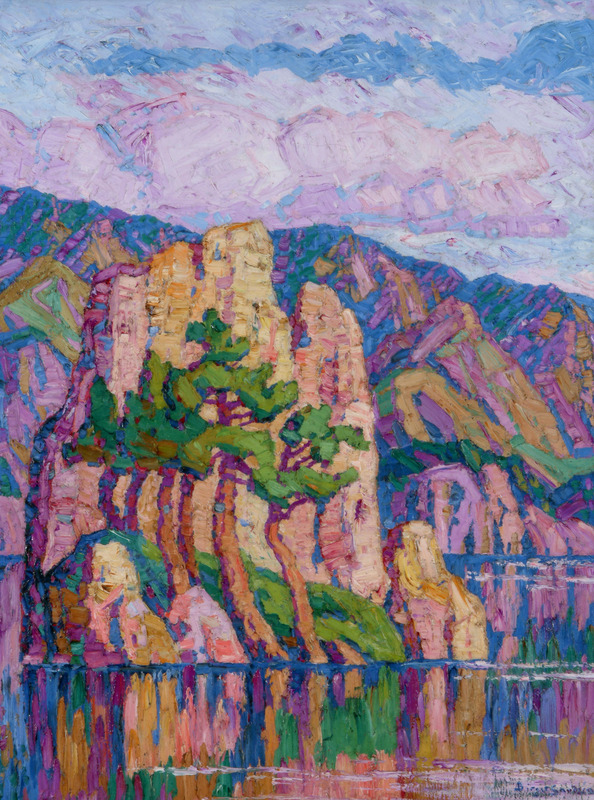 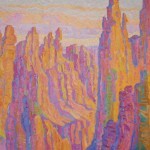 The Hour of Splendor, Bryce Canyon, 1928, oil on canvas, 60 x 80 inches, Greenough Collection, BSMG.